You get a kitten! He gets a kitten! Everyone gets a kitten! It takes a community to support a marriage, a village to raise a child, and a powerful love of charity to help kittens find a home. 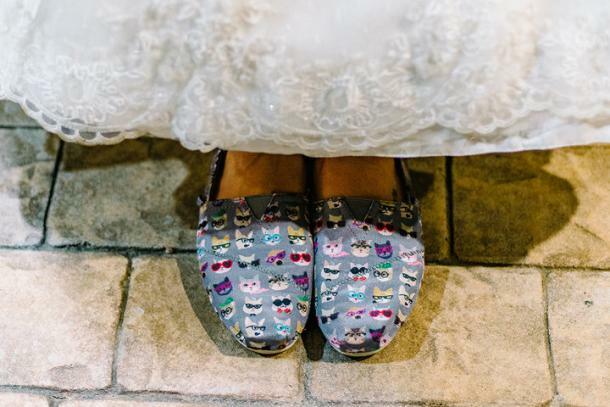 This happy couple is here to show the world that kittens and marriage go together purrfectly! 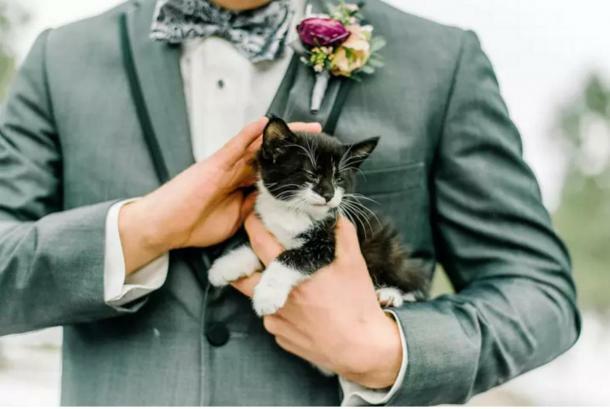 When it comes to getting others to creatively think about kittens, this bride and groom know how to think outside of the box. Not only do they love each other, but they share lots of things in common. They both are practicing veterinarians who volunteer at their local animal rescue in their spare time, and they are really serious about kittens! So, much so that they gave everyone in the wedding party a surprise! A pair of furry rescue kittens! 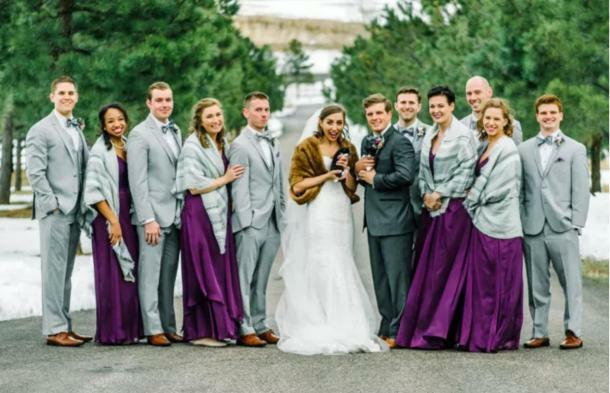 On March 25, 2017, Michele Bangsboll and Nick Anderson got married at the Spruce Mountain Ranch in Larkspur, Colorado where they surprised their guests with Jeeves and Houdini. 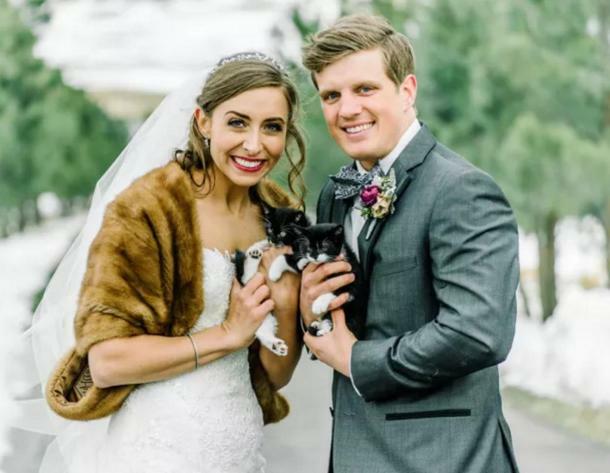 But the couple shared with Huffington Post that their decision to add kittens to their wedding plans was inspired by their volunteer work at Devine Feline, an award-winning clinic that provides spaying and neutering for strays in addition to vaccinations and other services they provide. The cat-loving couple decided to do more than just help out at the shelter with their services. 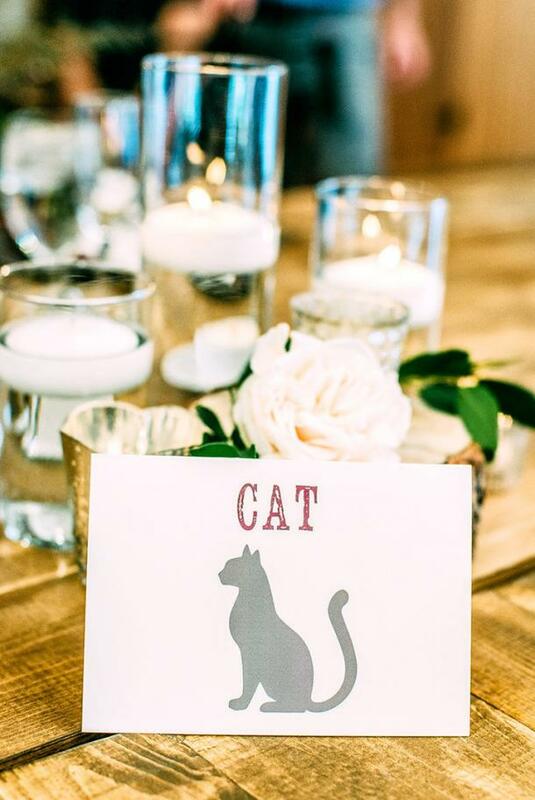 They created an entire cat-themed wedding — not just for fun, but to help two adoptable kittens find a new home. Because, you know, nothing says, "I love you" like holding a cat in your arms with the one you love and getting married. Pet adoption and weddings share similar themes. Any pet lover will tell you that taking on a pet, especially a kitten, is a lifetime commitment. Plus, becoming pet owner teaches a person about unconditional love. Not only does this couple understand that from a practical standpoint as veterinarians, but they are cat owners, too. While in veterinary school, the couple adopted two rescue cats of their own, named Bam-Bam and Wiggles. This husband and wife team were more than happy to include two new kittens as they started their new lives together as one. 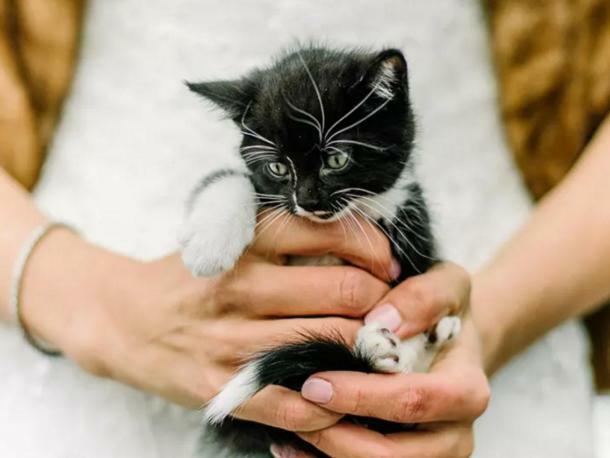 As if having two kittens in the wedding wasn't enough, the couple decided to go all the way to show how life with kittens is sweeter, even as a cake-topper! 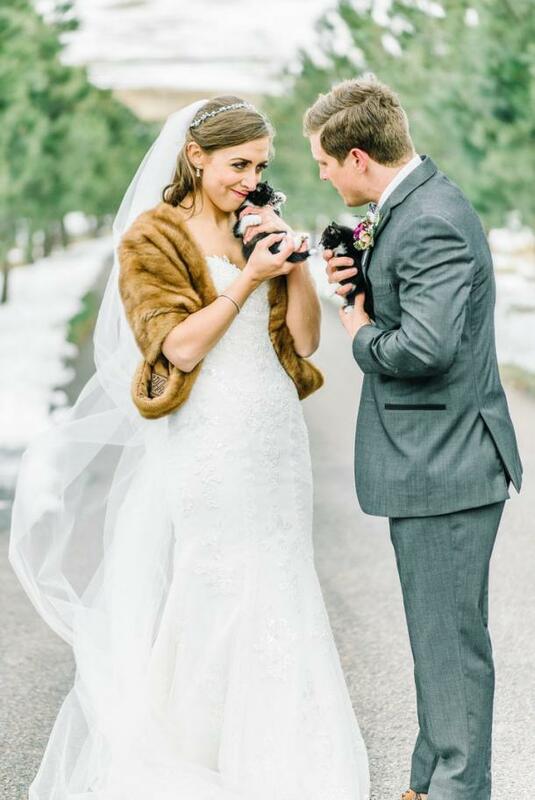 And rather than wear high heels, the bride opted for comfy foot mittens that match well with her kitten guests. I bet her new spouse thought she looked amazing! Who knew that they made shoes like this? This wife did. 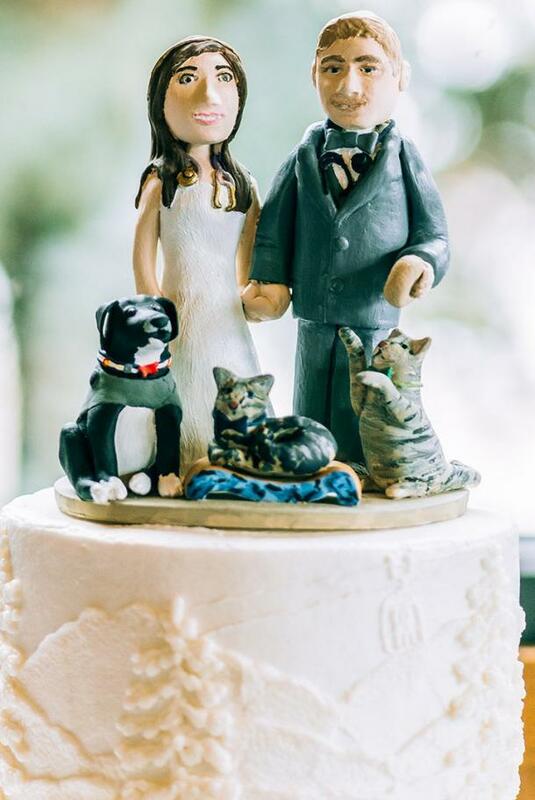 Here are more photos from the cat-loving couple's wedding. Prepare yourself for cuteness overload! Here's a cat that is allowed to be on the table while guests dine on their meal — vet's orders! When there are two kittens to hold, no one has to share! Although the husband looks like he wants a double portion of cat love. As for Jeeves and Houdini, they will be ready for furever homes in a few weeks. Here's hoping a wedding guest (or the bride and groom themselves) opt to adopt them.